July 17th, 2011, all party members from shanghai zenith visited the holy land of revolution in Jiaxing south lake, they commemorate the 90th anniversary of the birth of the Chinese Communist Party in a special way. In 1921, the first National Congress of china communist was hold in a normal cruise in south lake. That little boat, not only carried the heavy opening of party Albert, but also Guidelines of the party’s glorious history of 90 years, and will also witness the whole party, and China a better future. 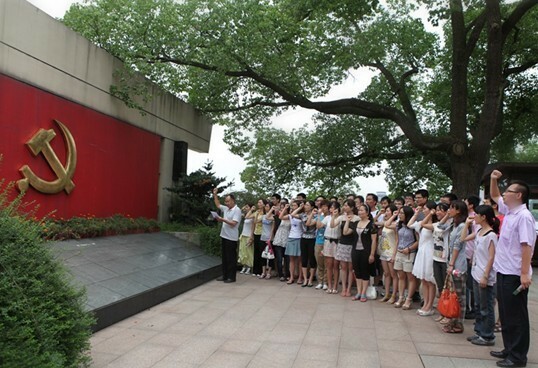 Through the "red Holy Land" tour, the party members remembrance the growth history of the Chinese Communist Party, also reviewed oath of joining the Party. This variety of activities strengthened the revolutionary history education, and makes the party members more clearly about its own historic mission and responsibility.